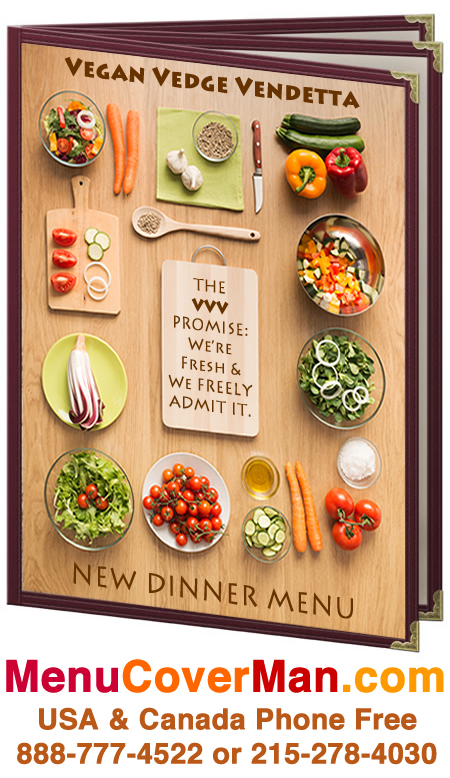 Menu Covers • Dealmaker Closeouts. 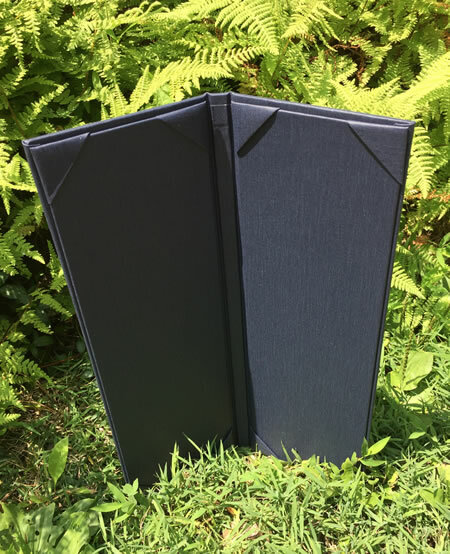 BIS-2V-4.25X14 Linen Navy Bistro Menu Covers - Two Panels - Two Views Each view has 4 album-style corners to hold your menu inserts and menu protectors securely in place. - 4.25 Wide x 14 Tall. Regularly $22.99 each!! Only $14.99 each cover + shipping to you. This offer is only sold in the lot of 25 pieces. 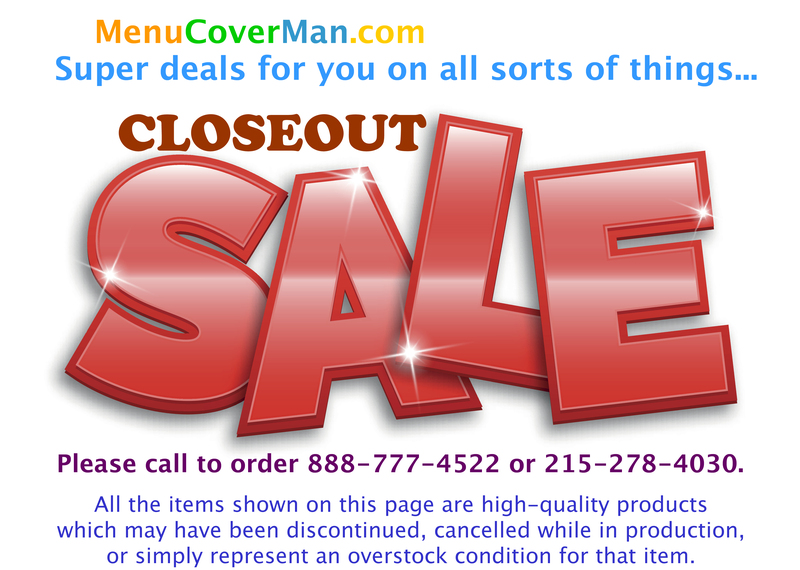 50 menu covers priced to move! 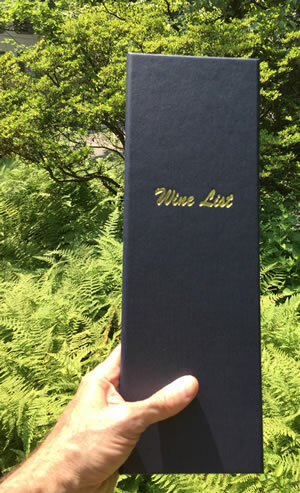 LEATHERETTE VINYL EDGE - BLACK COLOR! 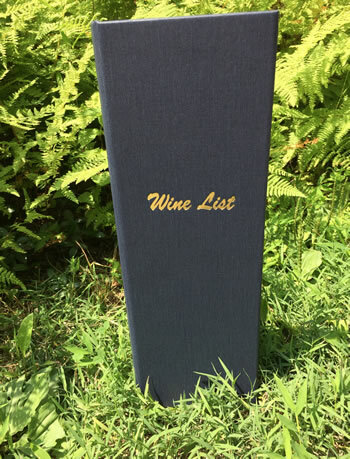 THREE PANEL - 6-VIEW - 8.5" X 11"
Advantage® Deluxe Sewn Cafe Menu Covers feature super-strong double-stitched threading on a beautiful leatherette vinyl edge. 10 gauge clear glossy lay-flat virgin vinyl pockets & decorative gold corners are standard. Single-pocket menu covers are always top-loading. Regularly $8.39 each!! Only $4.99 each cover + shipping to you. This offer is only sold in the lot of 50 pieces. 15 octogonal placemats priced to move! SMOOTH VINYL - BLACK COLOR! 11.375" DEEP x 16" WIDE. Image shows a debossing- yours will be blank. 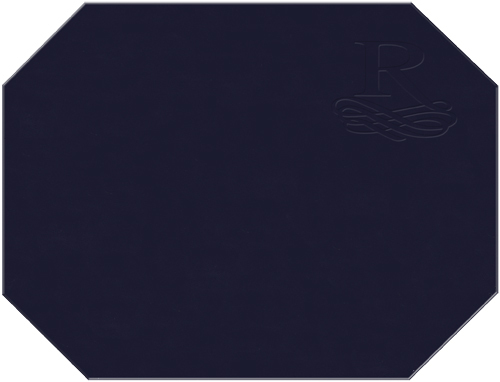 Instantly enhance rapport with your patrons- implement Perfection Placemats today! These easy-to-clean smooth vinyl placemats will add elegance to your establishment while helping to protect table tops. Flexible. Heat-sealed edges. Smooth vinyl. Regularly $9.99 each!! Only $2.99 each cover + shipping to you. This offer is only sold in the lot of 15 pieces.